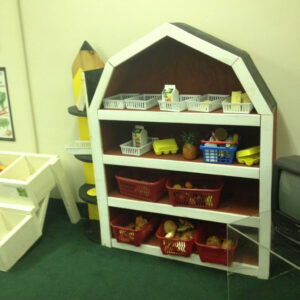 Kids love exploring Discovery Station’s Adventures in Agriculture exhibit, which they enter through a barn-like entrance. They can climb through a cow’s mouth, feel a cow’s tongue, explore what’s inside a cow, and exit by a cow’s tail sliding board. 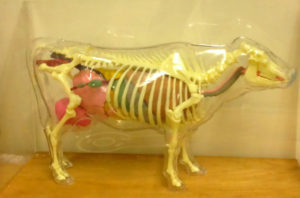 How do you get a cow to take a pill? Find out at Discovery Station. There is a corn bin with model farm equipment, a root vegetable cultivation section, a fruit harvesting display, and a produce store. You can even gather eggs from a setting hen. A video, “Take Me Out To The Corn Field,” cleverly shows how Maryland farmers grow crops that contribute to our economy and provide us with everyday necessities. This is a unique learning experience that children are sure to enjoy.